Woodshop open weekdays from 9 a.m. until 6 p.m.
That meeting with visualization sciences students and faculty has since been set for Monday, Oct. 30, the evening of the college’s annual faculty research symposium. Oct. 30 plans call for Katzenberg to tour the Viz Lab and meet privately with Viz students and faculty 6:30 – 7:30 p.m. At 7:30 p.m., Katzenberg will address College of Architecture students in the Preston Geren Auditorium. 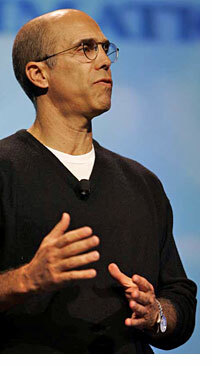 Due to seating limitations in the Geren Auditorium, the Viz Lab will distribute free tickets for the event, a “Conversation with Jeffrey Katzenberg,” to College of Architecture and Department of Computer Science students. Ticket holders will be admitted first. “Mr. Katzenberg's top priority is getting students excited about feature animated movies and the great creative and technical challenges and opportunities in the field for students from a very broad range of backgrounds,” explained Margaret Lomas, who is helping coordinate Katzenberg’s College Station visit. Gavin Smith, director of the Office of Recovery and Renewal for the governor of Mississippi, will talk about post-Katrina disaster recovery initiatives 4–6 p.m. Wednesday, October 4 in the Preston Geren Auditorium. Smith, a graduate of the Department of Landscape Architecture and Urban Planning’s Ph.D. program in Urban and Regional Sciences, joined the Mississippi governor’s office after Hurricane Katrina devastated the U.S. Gulf Coast. He previously worked in emergency management in North Carolina, where he was involved in the recovery efforts following Hurricane Frances. 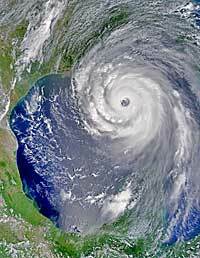 He recently co-authored a chapter on Disaster Recovery with Dennis Wenger. The Disaster Recovery & Redevelopment: Interdisciplinary Student Research Symposium will explore relevant new research in rapidly developing field of disaster recovery and redevelopment. The two-day event, set for Oct. 6 – 7, was organized by the Urban and Regional Sciences Student Organization at the Texas A&M College of Architecture. The event begins Friday, Oct. 6 at the Donald Houston Building, located at the corner of Raymond Stotzer Parkway (University Drive) and Discovery Drive at Texas A&M’s Research Park. On Saturday, Oct. 7, the symposium moves to the Langford Architecture Center. On Sept. 27, Texas A&M architecture students unveiled their design concepts, programs, drawings and models for a sustainable women’s shelter in Hempstead, Texas. The class projects, under the direction of George J. Mann, the Ronald L. Skaggs Endowed Professor of Health Facilities Design, and Joseph J. McGraw, professor emeritus, were undertaken at the request of "Focusing Families," a non-profit organization in Hempstead, established to promote the preservation of families and provide education about, prevention for and intervention in domestic violence and other family crisis issues. Texas A&M faculty, staff, and students will have a chance to show off their photography skills while showcasing Texas A&M research. The prize for the top photo in each category is a $50 gift certificate to the book store on campus. Anat Geva was recently elected to a two-year term on the Association of Preservation Technology Board of Directors. Educators, course designers and system administrators will come together from all over Texas to share their knowledge of WebCT and online teaching and learning at the 6th Annual WebCT Texas Users Conference, set for Oct. 4-6 at Texas A&M University. The conference, which includes 32 presentations, begins Wednesday with four different pre-conference sessions presented in the morning and repeated in the afternoon. There will also be a vendor reception on Thursday evening followed by a meal with Bluegrass entertainment at the Kyle House. from 9 a.m. until 6 p.m.
For the fall 2006 semester, the College of Architecture’s Woodshop is open 9 a.m. – 6 p.m., Monday through Friday. The shop closes daily, from noon to 1 p.m. for a lunch break. Questions about the woodshop, or the woodshop schedule should be send to Danny Bass, woodshop supervisor, at dbass@archone.tamu.edu or 458-0558. Facility Management Student Chapter meets: 5:30 - 7:30 p.m. in Langford C 207. The group’s semester topic is careers in facility management. For more information, contact Carlos Nome at 847-9356 or carlosnome@tamu.edu. ABC Student Chapter meets: 7 - 9 p.m. in Langford C 111. For more information, contact Michael Nutt at 281-723-0307 or nutt111@tamu.edu. Healthcare Architecture lecture: Don Stephens, principal, Mercy Ships will present “Hospital Design-Practical Results of the Newly Designed Hospital Ship: Africa Mercy,” 2 - 3 p.m., in the 4th Floor Central Studio in the Langford Architecture Center Building A.
Gavin Smith lecture: Gavin Smith, director of the Office of Recovery and Renewal for the governor of Mississippi, will talk about post-Katrina disaster recovery initiatives 4–6 p.m. Wednesday, October 4 in the Preston Geren Auditorium. Smith, a graduate of the Department of Landscape Architecture and Urban Planning’s Ph.D. program in Urban and Regional Sciences, joined the Mississippi governor’s office after Hurricane Katrina devastated the U.S. Gulf Coast. He previously worked in emergency management in North Carolina, where he was involved in the recovery efforts following Hurricane Frances. He recently co-authored a chapter on Disaster Recovery with Dennis Wenger. For more information, contact Carla Prater at 862-3970 or carla@archone.tamu.edu. Association of Student Planners meets: 5:30 - 7 p.m. in Langford C 207. For more information, contact Jake White at 713-303-4826 or shalanski@tamu.edu. 6:30 - 8 p.m. in Langford C 111. For more information, contact Alexis Mixon at 817-229-5191 or amixon@tamu.edu. 6:30 - 8 p.m. in Langford C 105. For more information, contact Alexis Mixon at 817-229-5191 or amixon@tamu.edu. American Society of Landscape Architects Student Chapter meets: 7 - 9 p.m. in the Langford A Gallery. For more information, contact Russell Thomman at 806-239-7656 or ruthomman@aol.com. Design-Build Institute of American meets: 7:30 - 9:30 p.m. in the Preston Geren Auditorium. For more information, contact Edna Ledesma at 956-466-2813 or ednaledesma@tamu.edu. Student Competition & Law Class meets: 2:20 - 3:35 p.m. at a location to be announced. Joe Horlen will meet with students concerning upcoming competitions. For more information, contact Ann Eastwood at 845-0289 or aeastwood@archone.tamu.edu. Student Health Environments Association: will hold a general meeting 6 - 8 p.m. in Langford B 209. 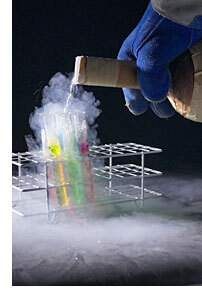 The group will take orders for shirts and collect information and photographs for a bio book. New people are welcome and membership is free. For more information, contact Tiffany DeSalvo at 979-218-4242 or tndesalvo@neo.tamu.edu. National Association of Home Builders meeting: 6:30 - 10 p.m. in the Preston Geren Auditorium. For more information, contact Ann Eastwood at 845-0289 or aeastwood@archone.tamu.edu. SWAMP meets: The Screenwriting, Acting, and Movie Production student organization (SWAMP) meeting 7 - 9 p.m. Thursday nights in Langford C 414 to discuss upcoming events and member projects. For more information, contact Billy Agan at 832-444-8037 or greenbilly784@yahoo.com. Building Inspection Workshop: The Department of Construction will hold its fall Building Inspection Workshop for building inspectors 7 a.m. - 5 p.m. in Langford C 105. The event is open to the public. For more information, contact Ann Eastwood at 845-0289 or aeastwood@archone.tamu.edu. Julie Rogers Studio Final Review & Exhibit: featuring designs for a Peckerwood Garden Visitors Center will be held 8 a.m. - 5 p.m. in the Langford A Gallery. For more information, contact Julie Rogers at 847-9479 or jrogers@archmail.tamu.edu. MS VIZA Thesis Defense: Brandi Dunn, will defend her thesis 10 a.m. - noon in Langford 429. For more information, contact Margaret Lomas at 845-3465 or marge@viz.tamu.edu. Associated General Contractors and Associated Builders and Contractors Student Chapters meeting: 7 – 10 p.m. in the Preston Geren Auditorium. For more information, contact Cary Seabolt at 214-968-9657 or cbolt@tamu.edu. Healthcare Architecture lecture: Kevin Schlaht of the INNOVA Group presents “Roadmap to the Future: A Planning Process that Links Strategy, Operations and Capital Asset Planning,” 2 - 3 p.m., in the 4th Floor Central Studio in the Langford Architecture Center Building A.
MS VIZA Thesis Defense: Christopher Coleman, will defend his thesis, "Fast Self-Shadowing Using Occluder Textures," 3 - 5 p.m. in Langford 429. For more information, contact Margaret Lomas at 845-3465 or marge@viz.tamu.edu. Patrick Peters Lecture: The Department of Architecture Lecture Series features Patrick Peters of the Gerald Hines College of Architecture at the University of Houston lecturing on “Closing the Loop: Informing Design-Thinking by Building,” 5 - 7 p.m. in the Preston Geren Auditorium. For more information, contact Malcolm Quantrill at 845-7878 or casa@archone.tamu.edu. Michael Aulick planning lecture: Tim Lomax' PLAN 612 class will hear Michael Aulick lecture on a topic to be announced 5:30 - 7 p.m. in the Langford Gallery. For more information, contact Debby Bernal at 979-845-1019 or dbernal@tamu.edu. 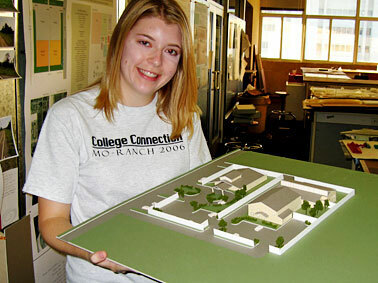 American Institute of Architects – Students Officers meet: 6:30 – 8 p.m. in Langford A 403. For more information, contact Alexis Mixon at 817-229-5191 or amixon@tamu.edu. 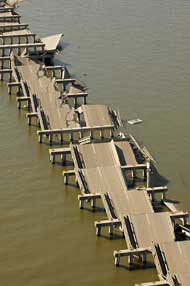 Padre Island Project Presentation to National Park Service: 1:00 p.m. - 6:00 p.m., Langford B 209. Graduate design studio presentation to National Park Service (client) For more information, please contact Taeg Nishimoto/845-8283/tnishimoto@archmail.tamu.edu. LAUP Movie Night: "Erin Brockovich" staring Julia Roberts in an Academy Award winning role as an unemployed single mother who becomes a legal assistant and almost single-handedly brings down a California power company accused of polluting a city's water supply. Showtime is 5:30 p.m. in the Preston Geren Auditorium. The Society of Women in Construction meets: 7 - 8 p.m. in Langford C 111. For more information, contact JoEllen Eggert at 832-928-4202 or joelleneggert@tamu.edu. Dean's Breakfast for Aggie 100: A breakfast honoring College of Architecture former students who made the 2006 Aggie 100 list will be hosted by Dean J. Thomas Regan 8 – 10 a.m. in the Langford Gallery. The Aggie 100 identifies, recognizes and celebrates the 100 fastest growing Aggie-owned or Aggie-led businesses in the world. The Aggie 100 not only celebrates their success, it also provides a forum to pass lessons to the next generation of Aggie entrepreneurs. For more information, please contact Trish Pannell/458-0400/t-pannell@tamu.edu. LAUP faculty meets: 11:15 a.m. - 12:45 p.m. in Langford C 207. For more information, contact June Withers/845-1019/jwithers@archmail.tamu.edu. Final Defense Presentation: 1 - 2:30 p.m. in Langford A 302 featuring Robert Folzenlogen on Mixed-Use Planning & Design with Atef Sharkawy, chair, and committee members Chang-Shan Huang and Ekkehart Boehmer. For more information, contact Thena Morris at 458-4306 or t-morris@tamu.edu. Viz faculty and staff meets: 1:15 - 2:30 p.m. in Langford C 429. The meeting will offer updates on curricular and lab events and changes. Viz student reps are invited to attend and discuss student issues. For more information, contact Margaret Lomas at 845-3465 or marge@viz.tamu.edu. Department of Construction Science Teaching Academy: will be held 2:30 – 5 p.m. in Langford C 111. For more information, contact Ann Eastwood at aeastwood@tamu.edu. MS VIZA Thesis Defense: Andy Smith will defend his thesis 2:30 - 4 p.m. in Langford C 414. For more information, contact Margaret Lomas at 845-3465 or marge@viz.tamu.edu. Workshop on Indian Classical Music: Workshop on Indian Classical Music organized by SPICMACAY-TAMU features S. P. Bhattacharya, M. Mohan, and Harsha Nagarajan are guest lecturers 2 - 9 p.m. in the Preston Geren Auditorium. For more information, contact Pudhuma B. Karunakaran at 510-457-5553 or pudhuma@gmail.com. CHUD Open House: The Center for Housing and Urban Development at the Texas A&M College of Architecture is hosting an open house 4 - 6 p.m. in the Preston Geren Auditorium. For more information, contact Marisa Ordonez at 979-862-2374 or mordonez@archmail.tamu.edu. Healthcare Architecture lecture: Susan Rodiek, Ph.D., NCARB, associate director of the Center for Health Systems & Design at Texas A&M University presents “Applying Research to Long Term Care Design,” 2 - 3 p.m., in the 4th Floor Central Studio in the Langford Architecture Center Building A.
LAUP Movie Night: "The End of Suburbia," a documentary examining the post-World War II emergence of the suburbs as a part of American culture. The film questions the sustainability of such types of land and resource abuse. Showtime is 5:30 p.m. in the Preston Geren Auditorium. “10 Years & 9 Days,” a film by Texas A&M student Bradley Angell, will be screened by the American Institute of Architects – Students (AIAS) 7:45 - 9 p.m. in Langford C 105. For more information, please contact Alexis Mixon at 817-229-5191 or amixon@tamu.edu. PIXAR Recruiters Visit: Representatives from PIXAR Animation Studios will visit faculty, staff and students in the Viz Lab. For more information, contact Margaret Lomas at 845-3465 or marge@viz.tamu.edu. Healthcare Architecture lecture: Scott Latimer, AIA, with Kurt Salmon Associates presents “The 2020 Hospital,” 2 - 3 p.m., in the 4th Floor Central Studio in the Langford Architecture Center Building A.
LAUP Movie Night: "Crash." For two days in Los Angeles, a racially and economically diverse group of people pursue lives that collide with one another in unexpected ways. These interactions are always interesting, and sometimes quite unsettling. The film explores and challenges your ability to judge books by their covers. Showtime is 5:30 p.m. in the Preston Geren Auditorium. DreamWorks Animation FX Workshop: Time and place to be announced. For more information, contact Margaret Lomas at 845-3465 or marge@viz.tamu.edu. 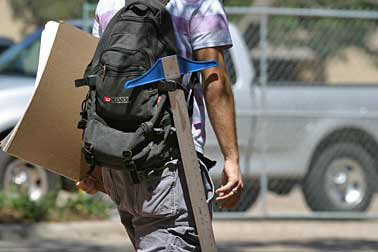 An unidentified student heads for the Langford Architecture Center with his t-square and tracing paper in hand. The Sept. 12, 2006 issue of Inside Track incorrectly reported that professor Peter Lang’s group project at the Venice Biennale was a large-scale futuristic model of “Venice.” The model was in fact a utopian plan for “VEMA,” a future city in the Pianura Padana, between Verona and Mantua (VErona – MAntua). In all, 19 different groups participated on the VEMA model, exploring such issues as housing, workplaces, the human body, art, infrastructure, media, green areas, leisure and energy use.